Looking back on this experience, I wish we could have had the surgeries sooner." I found BeLiteWeight through a contact at work. My sister just had my nephew and just wanted to start fresh. I had my Vertical Sleeve Gastrectomy - VSG Surgery and my patient facilitator, Surgeon and his staff where amazing. It was one of the nicest hospitals I was ever in. The staff helped as much as they could and everything was explained and questions were answered. I never felt in the dark about anything. I was nervous because it was my first surgery ever. It hasn't been easy but I couldn't be more happier to see where I was to where I am I now. "I haven't been this small since I was in the 6th grade! I love it!" 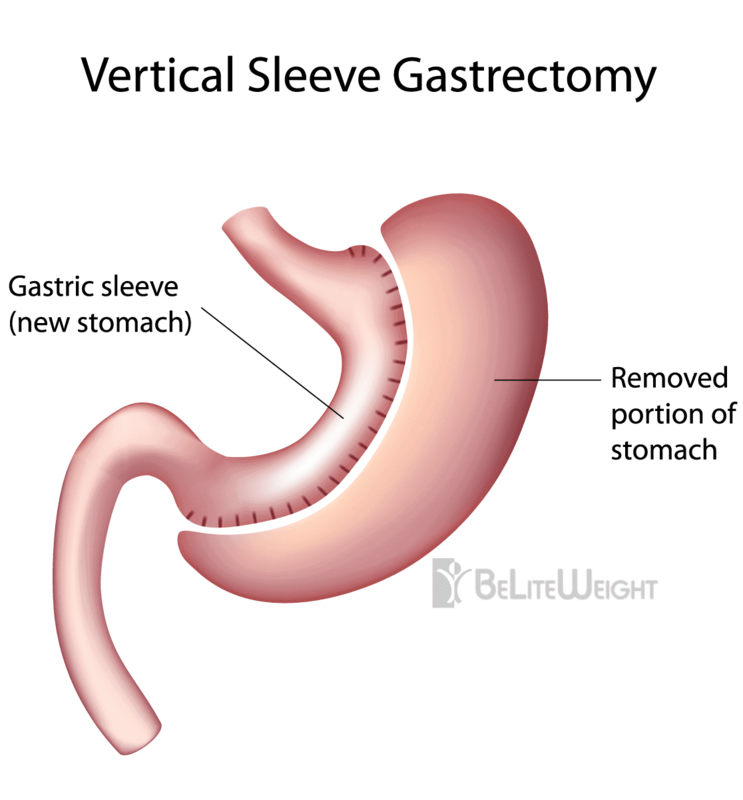 The Vertical Sleeve Gastrectomy – VSG (Gastric Sleeve) is an operation in which approximately 80% of the stomach is surgically removed. During the Laparoscopic Sleeve procedure a thinn vertical sleeve of stomach is created using a stapling device. This results in a new stomach which is roughly the size and shape of a banana. Since this operation does not involve any "rerouting" or reconnecting the intestines, it is a simpler operation than the Gastric Bypass or the Duodenal Switch. Unlike the Lap-Band® procedure, the Vertical Sleeve Gastrectomy – VSG does not require the implantation of an artificial device inside the body. The VSG works in two ways. It is a restrictive procedure because of the smaller size of the newly formed stomach. This makes you to feel fuller from smaller portions of food. Since you eat less food, your body will stop storing excess calories and start using its fat supply for energy. One of the additional advantages of the Vertical Sleeve Gastrectomy – VSG procedure is its profound effect on the production of a gut hormone called 'Ghrelin' which controls our appetite. Patients just do not have the same interest in food after the procedure. Our patients report the significant reduction in hunger being one of the best benefits of this surgery. Some advanced minimally invasive Vertical Sleeve Gastrectomy – VSG procedures can be performed almost exclusively through a single point of entry – meaning only one small incision. This is called Single Site Laparoscopy, aka Single Incision Laparoscopy Surgery (SILS) and is another approach to performing traditional laparoscopic surgery using the same tools. 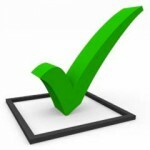 If you are interested in hearing more please discuss this option with your Patient Counselor. WARNING: THE VIDEO CONTAINS FOOTAGE FROM AN ACTUAL SURGERY. The newly formed stomach functions normally, therefore most foods are well tolerated. There are no particular restrictions on the types of foods eaten in the long term. Initially the patient will be prescribed a specific post-op diet. Because of the signification reduction in the quantity of food you consume your surgeon will encourage you to eat a higher nutrient rich diet in the long term. Protein supplementation and a multi-vitamin taken daily is encouraged by all of our surgeons. For patients with a body mass index greater than 60, the Vertical Sleeve Gastrectomy – VSG may be the first part of a two-stage operation. If you fall into this category, you may benefit from a two-stage bariatric surgery. In the staged approach, a multi-step operation like the gastric bypass is broken down into two simpler and safer operations. In the first stage, a Vertical Sleeve Gastrectomy – VSG is performed. This allows a patient to lose 80 to 100 pounds or more, making the second part of the operation substantially safer. Please discuss this option with your Patient Counselor if you feel you may benefit from the two stage approach. Those who are concerned about the potential long term side effects of an intestinal bypass such as intestinal obstruction, ulcers, anemia, osteoporosis, protein deficiency and vitamin deficiency. Those who are considering a Lap Band® but are concerned about a foreign body inside the abdomen. Patients who do not have access to a doctor to perform fills (adjustments) on the Lap Band®. Patients with a busy lifestyle and want a "lower maintenance" weight loss surgery. Those who have medical problems that prevent them from having weight loss surgery such as anemia, Crohn's disease, extensive prior surgery, and other complex medical conditions. Younger patients who may want to leave additional long-term options available. What advantages does the Vertical Sleeve Gastrectomy – VSG have? It does not require disconnecting or reconnecting the intestines. It is a technically simpler operation than the Gastric Bypass or the Duodenal Switch. There is no foreign device inside your body. It does not need adjustments or fills. It may be a safer operation for patients with a body mass index (BMI) of more than 60. It may be used as the first stage of a 2-stage operation.